Joe Queenan's acerbic riffs on movies, sports, books, politics, and many of the least forgivable phenomena of pop culture have made him one of the most popular humorists and commentators of our time. 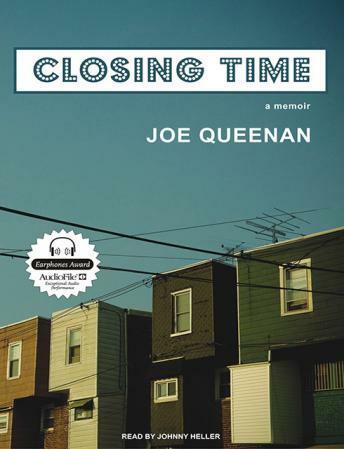 In Closing Time, Queenan turns his sights on a more serious and personal topic: his childhood in a Philadelphia housing project in the early 1960s. By turns hilarious and heartbreaking, Closing Time recounts Queenan's Irish Catholic upbringing in a family dominated by his erratic father, a violent yet oddly charming emotional terrorist whose alcoholism fuels a limitless torrent of self-pity, railing, destruction, and late-night chats with the Lord Himself. With the help of a series of mentors and surrogate fathers, and armed with his own furious love of books and music, Joe begins the long flight away from the dismal confines of his neighborhood-with a brief misbegotten stop at a seminary-and into the wider world. Queenan's unforgettable account of the damage done to children by parents without futures and of the grace children find to move beyond these experiences will appeal to fans of Augusten Burroughs and Mary Karr, and will take its place as an autobiography in the classic American tradition.